I’ll start using gouache again sometime soon… but for now, I’m still on my ink kick. For the past few weeks, I’ve been captivated by an illustration I came across on the blog Vintage Kid’s Books My Kid Loves (a blog super easy to get lost in for hours and hours). 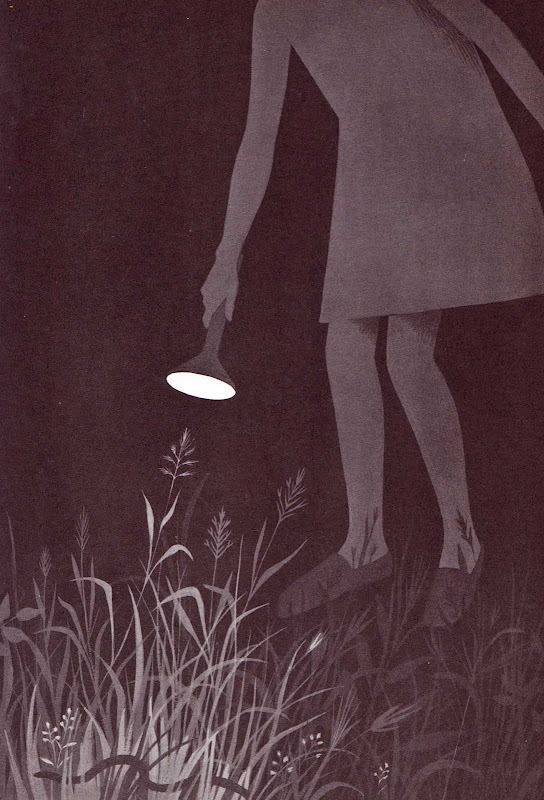 The illustration is from Aileen Fisher’s In the Middle of the Night, illustrated by Adrienne Adams. It’s been lingering in the back of my head, and I keep trying to figure out how it was done. I spent so long looking at the grass, it took me a few viewings before I even noticed the snake. That’s when I knew I had to try something similar myself. Here’s my attempt at getting the same sort of layered look, while keeping the piece my own. 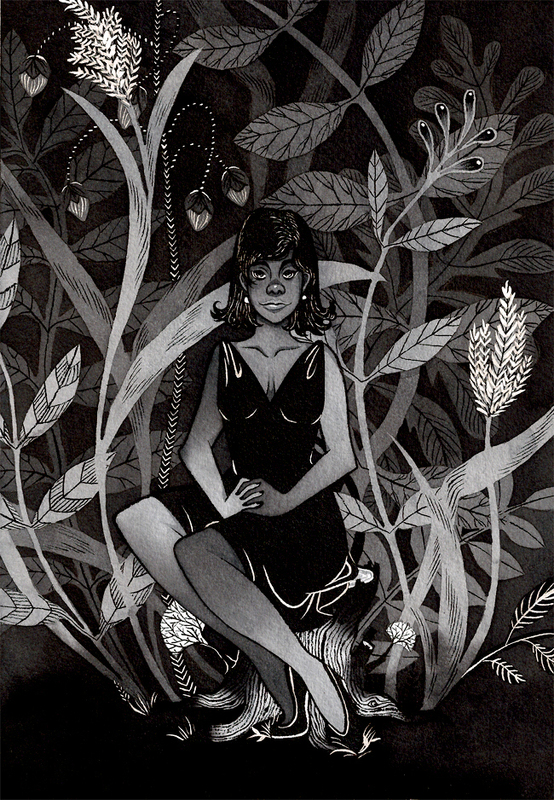 It’s times like these I wish I had a better scanner… mine just does not like accommodating intense darks and lights at the same time. But still, not too shabby. And it was especially fun to take in-progress pictures of as I added each layer. Thanks for sharing this. I love this image and really enjoy the range of values you are able to achieve. Have you ever tried Yasutomo Black Sumi Ink? (In the green bottles.) There are two kinds, one is water based and one has shellac in it. The kind with shellac is god’s gift to getting the blackest of blacks with ink. Thanks Mike! I think I am using Yasutomo (part of the label is ripped off, so I can’t double check), but I wonder which one it is? Thanks for the tip though, I’ll definitely ask the next time I’m at my neighborhood art supply store! Nice! The labels are in Japanese so unless I am ordering online from Utrecht I often get it wrong as they both come in similar green bottles. The water based ink is still good but not as amazing and super black. Happy drawing!